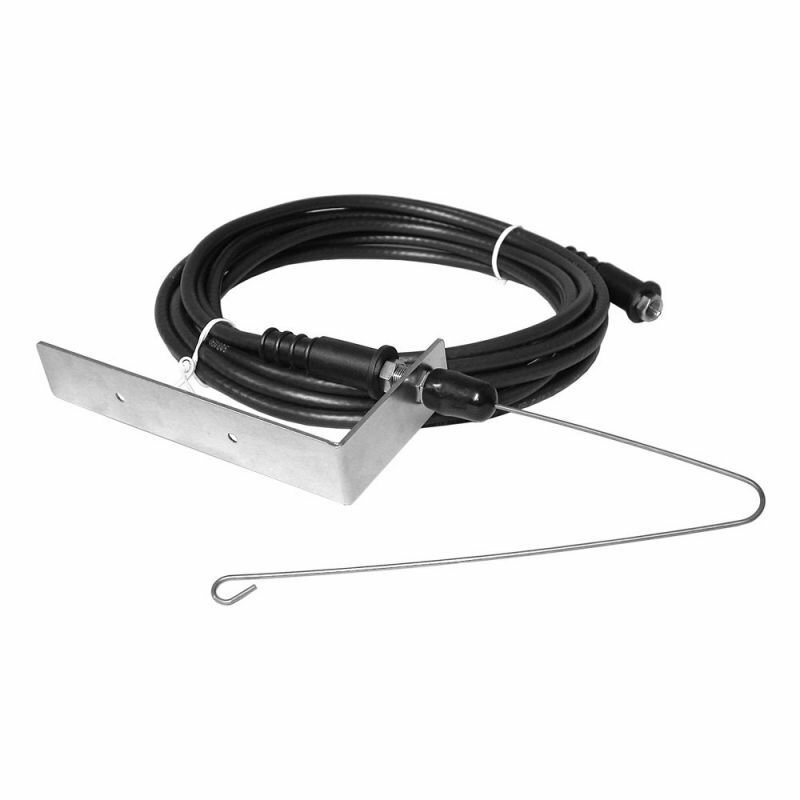 106603 Remote Whip Antenna The Model 106603 Remote Whip Antenna is designed as a remote mounted antenna. This antenna is useful when a receiver must be mounted in poor signal reception location such as inside a gate operator case. Remote antennas are also useful in installations where the receiver is located inside a metal building and the transmitters will be activated from outside the building. The antenna has a bracket for mounting the antenna and connects to the Type-F connector on the receiver through a 15-foot coax cable. NOTE: Generally, the higher the antenna is mounted above ground level, the better the radio range will be.